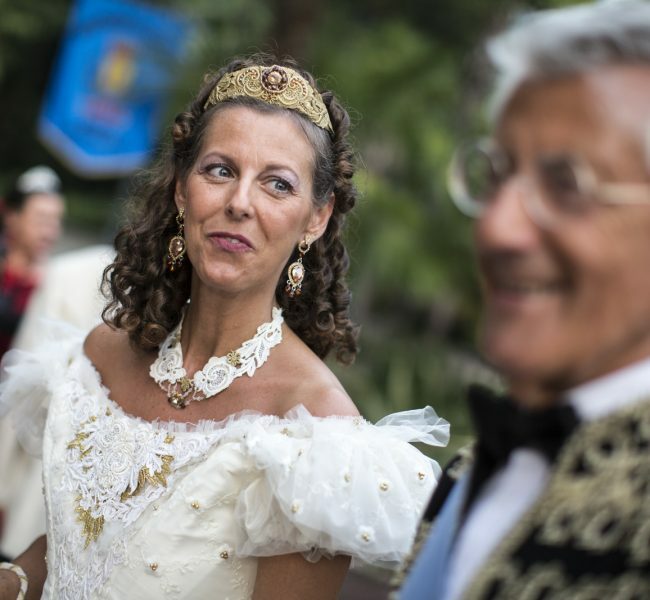 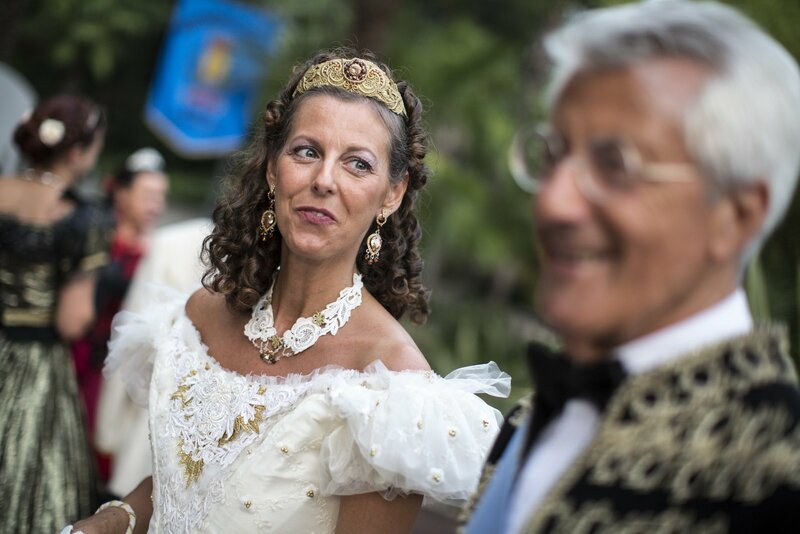 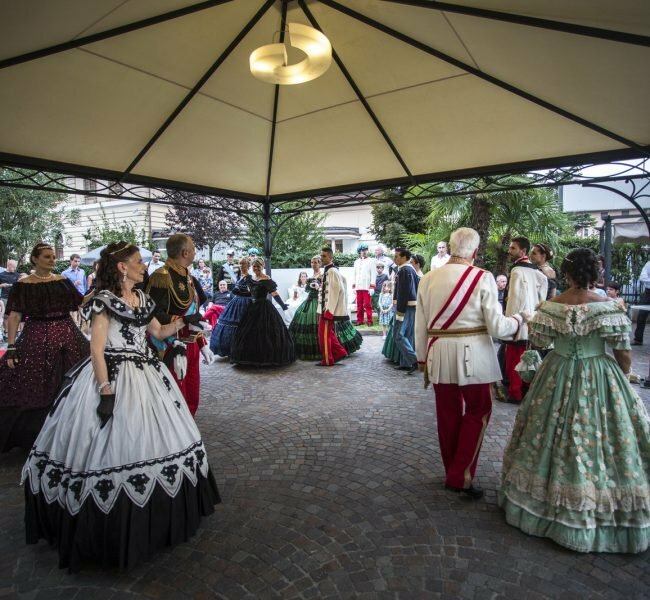 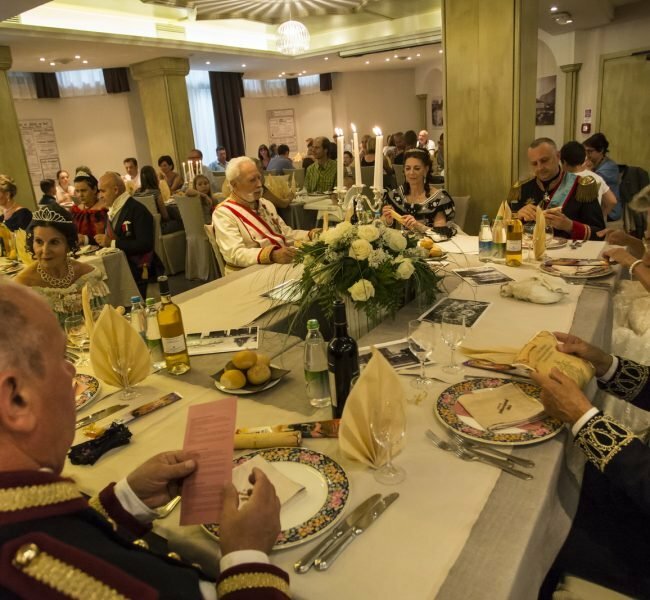 In the frame of the beautiful town of Arco (in Trentino region), the Palace Hotel Città is the organizer of an elegant historical re-enactment of the Habsburg Court. 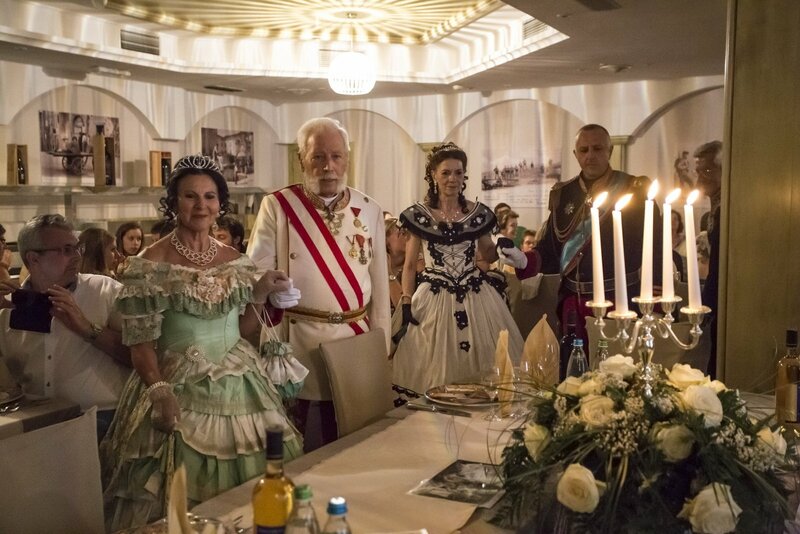 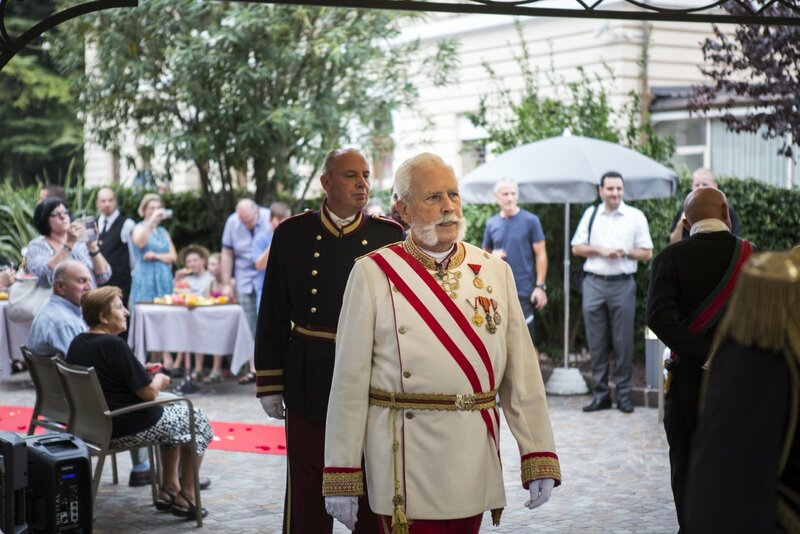 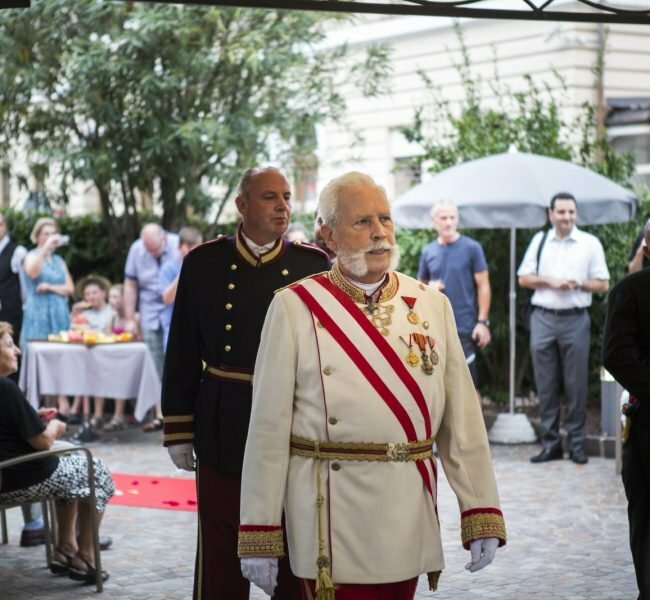 The hotel proposed a Habsburg evening whose success has now a hope to turn this event into a regular and periodic appointment. 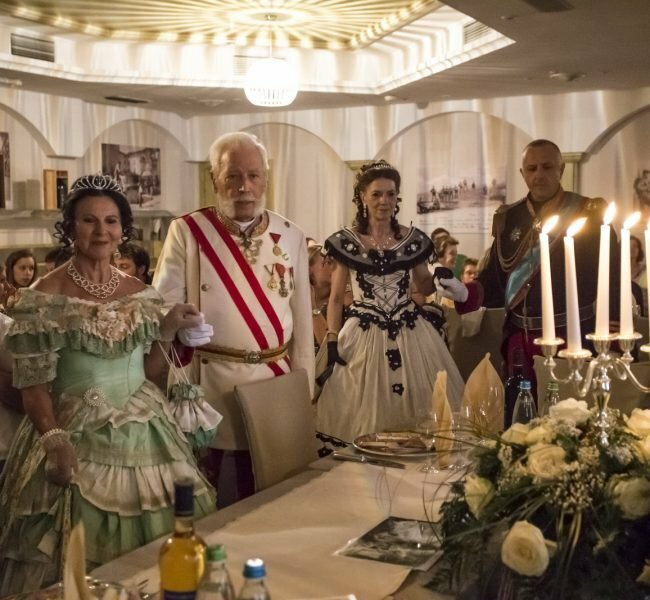 In fact, Arco was in the 18th century the summer seat of the Austro-Hungarian court and could boast with the presence of Sissi, Kaiser Franz Josef, Prince Albert and many other noble aristocrats. 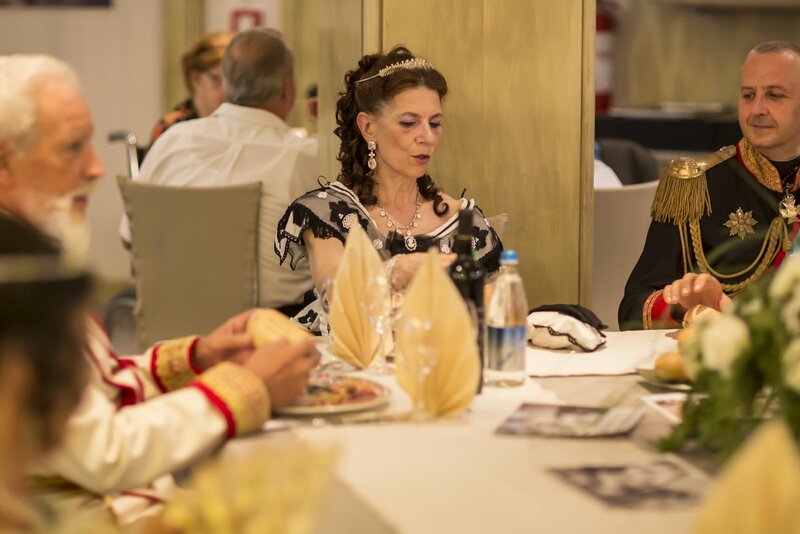 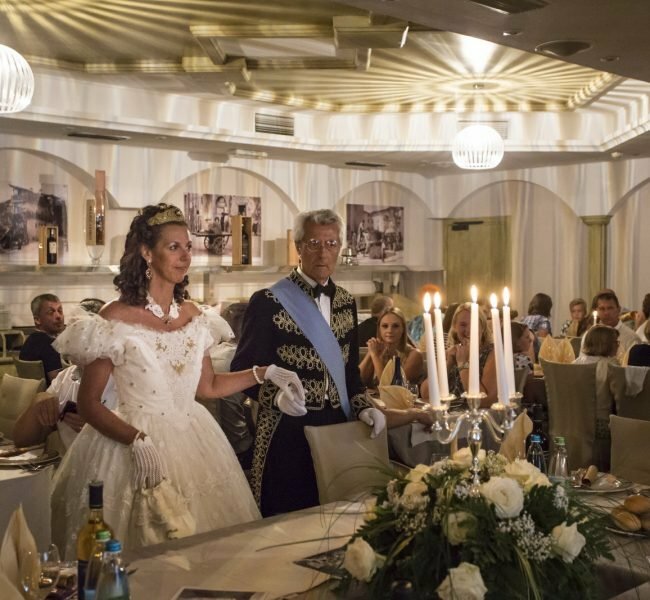 The evening was organized by the impeccable direction of the Palace Hotel Città of Arco in the person of Ciprian Lupu and choreographer Cristina Bortolameotti, which have allowed the curious and fans to relive an historical era of Habsburg splendor by 20 dancers dressed with the costumes of the 18th century. 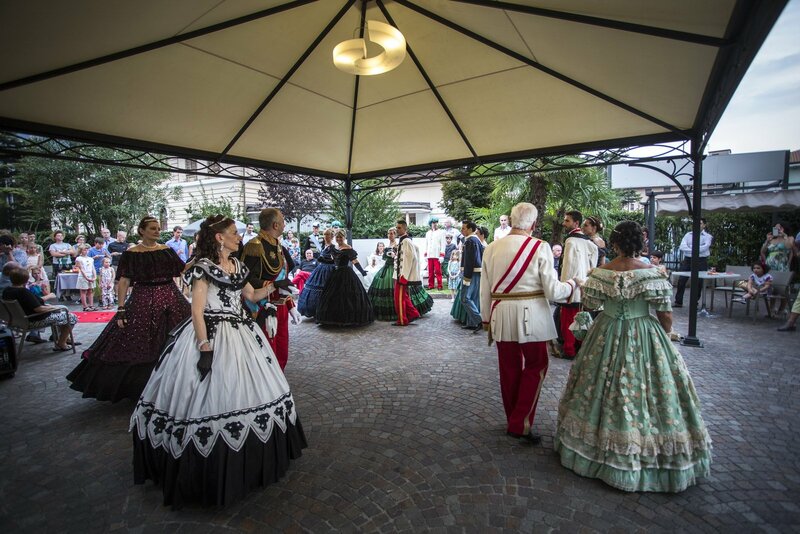 To enrich the magical evening with the parade of dancers, there was a rich and tasty themed menu made based on recipes of the time found among the notes in a notebook of a cook of the 18th century and ingredients exclusively from Trentino proposed by the chef Mauro Barbiero. 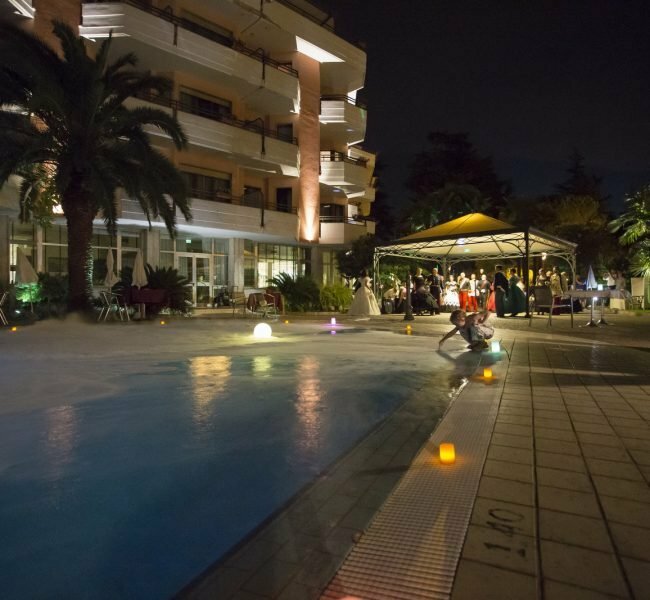 The impeccable organization allowed the event to take place without a hitch. 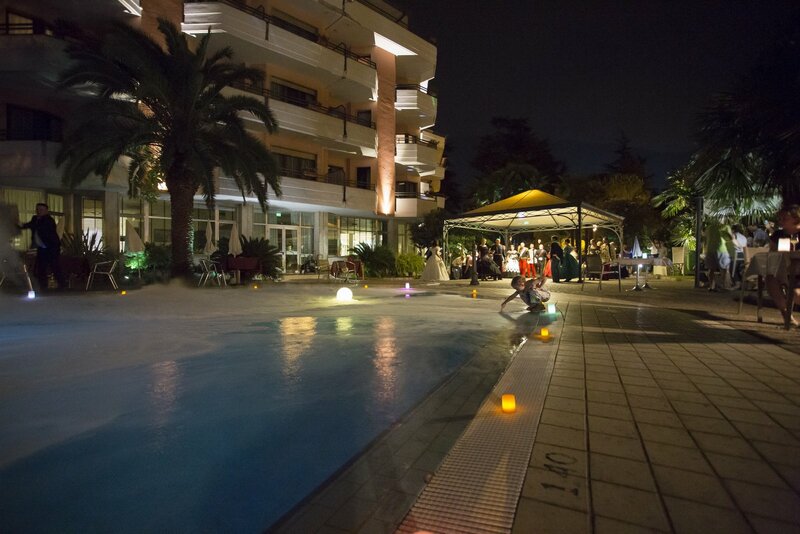 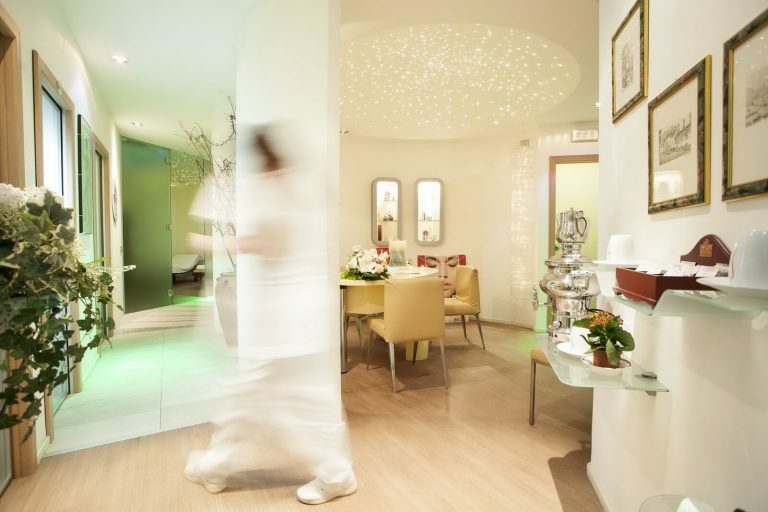 Attention to details was very high and the hotel management promised to revive the recollection by doing it even better! 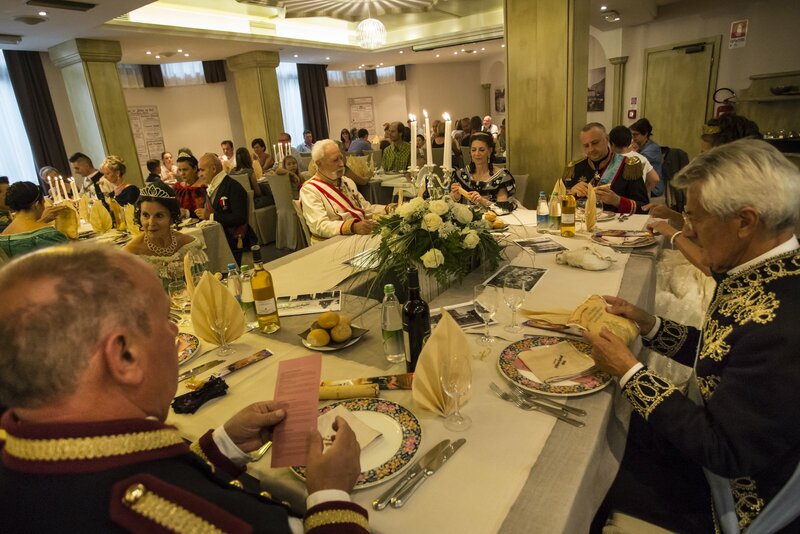 For the Palace Hotel it was an important event that has enhanced its presence in the region and emphasized the prestige of the town of Arco, always attentive to its tourists, as evidenced by the presence of the Assessor of the Department of Culture Stefano Miori. 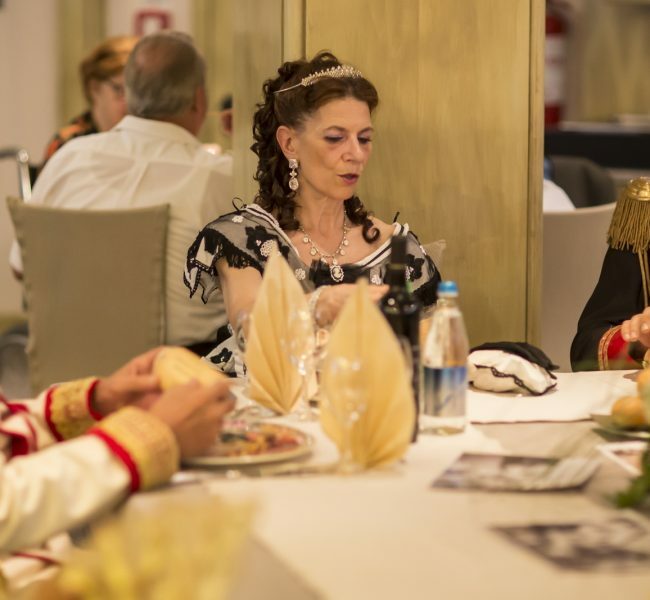 After the refreshment with seasonal fruits, the traditional dinner and the parade of participants, the evening ended at the pool where the real staged a series of dances of the period until the end of the evening.